Ingress version v3.0.4 has been released loaded with 7 major updates and 6 bug fixes for better performance. This version is now available for download here and online update straight from the software. Ingress has undergone some cosmetic changes along with rearrangements of its ribbon bar menu to provide users with improved user experience. A simple repositioning of the Report Settings provides users with convenience in handling watermark in reports. 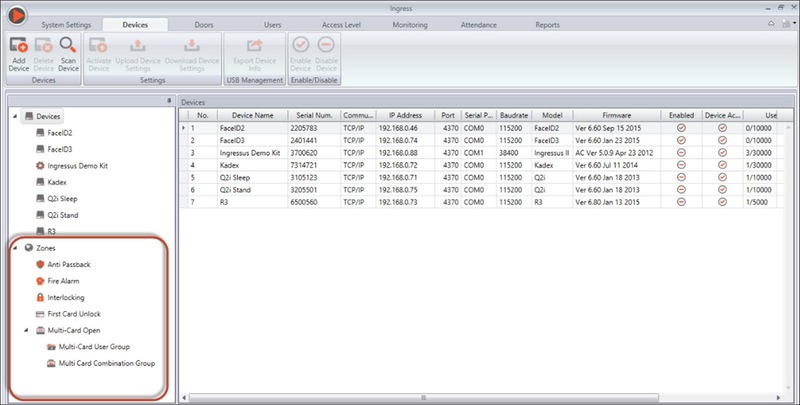 If you are using Ingressus, zone installations can be set for a more secure access control via Ingress. However, if Ingressus is not used, as default the tab will be hidden. Now users are given the option to input information about their dealer in Ingress, it used to be a compulsory field. Hints are useful for some users who need hand holding in setting up of the software. Ingress is now filled with hints and we’ll keep improving to serve our customers with better user experience. Not all pages are created equals and one person prioritizes one page more than the other pages. Now, admins can decide which page to be displayed once they login the Ingress software. Prior to this version, each time a user cancels the notification window, the window will re-appear after a couple of seconds to remind user that there are changes that has yet to be synced to the device. Now, the window will not re-appear when a user closes it, until the next changes are being saved. We do think of ways to reduce your stress level. I appreciate your updates, but the icon that shows the status of enabled and disabled users and devices should have not been changed from red and green icons, the latest ones with TICK and DASH is so confusing. Kindly revert back to red and green notifications. Hi, I was going through the application on Update 6: I went through System Settings>>User account>>Add Account It gave me an error "failed to save data" when I am registering a new user. 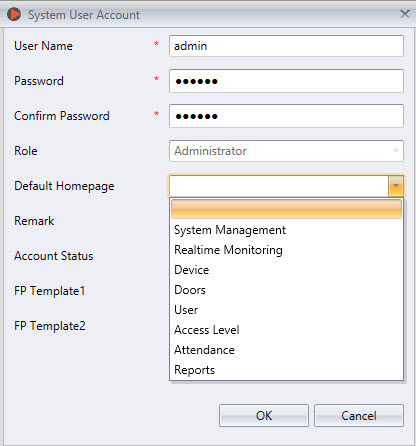 Referring to the problem, before you can create a login account for the users, you will first have to create the User Role. 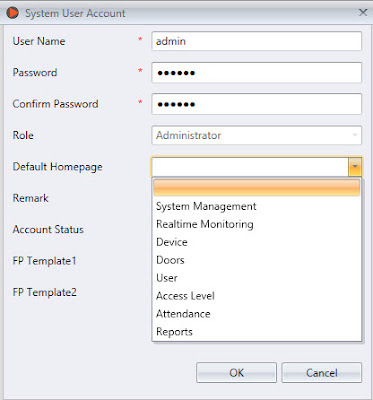 To create a User Role, please go to System Settings > System User > User Role. For details configuration, please refer to the following newsletter. I want to know if this version supported windows 7 64 bits. Ingress Software are compatible with the Windows 7 , 8 & 10 for 32 and 64 bit. If there is any other information required, do let me know so I may assist you accordingly.